Jennifer Los is an award winning real estate agent in London, Ontario. A real estate agent since 1992, Jennifer Los serves London, Ontario and the surrounding areas. 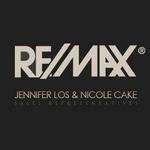 Jennifer Los is a member of the Re/Max Real Estate Group. Products Carried: Jennifer Los is a real estate agent in London, Ontario. Jennifer has been with Re/Max Real Estate Group since 1992. Jennifer Los London Real Estate is experienced in new home sales, single family homes, condominiums, and all other aspects of real estate sales in Windsor and surrounding areas. Jennifer is a Platinum seller and industry leader within London, Ontario. A good friend of mine recommended Jennifer Los since I was looking for an affordable house near the central market. I called them and all of my questions were answered and they were really friendly and courteous. I visited them next day and went to see some houses. Fortunately, I found my ideal house on the first day and decided to buy it.